Japanese researchers want to show people what it’s like to have autism by using a headset that distorts imagery of people nearby. 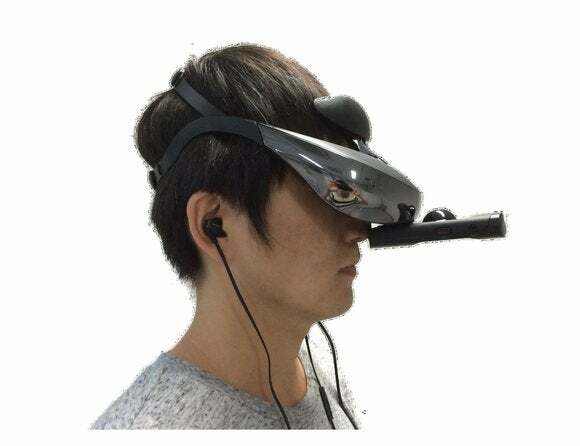 The researchers from Osaka University and the University of Tokyo mounted a forward-facing Wi-Fi webcam on a Sony HMZ-T3W headset, which is designed for watching movies and covers the eyes with two screens. The webcam’s video is relayed to the screens, but when the simulation’s image-processing program is activated, the faces of people become washed out and fuzzy, making their expressions impossible to see. White dots like swirling snow also appear on the screens in response to loud noise, distorting the high-contrast image. Earphones linked to a microphone in the webcam also relay a distorted audio signal. The effect is aimed at simulating the vision and hearing of people with autism spectrum disorder (ASD), who can experience sensory overload and deficit. They can also struggle to understand the emotional states of others. Based on augmented reality techniques, the image processing is done in a separate computer that receives the webcam’s signal by Wi-Fi and then wirelessly transmits the altered image to the Sony headset. The researchers published a paper on the concept of the autism headset at a conference of the Institute of Electrical and Electronics Engineers (IEEE) last year. “We hypothesize that (people without autism) experiencing an artificial ASD perceptual system would have the same difficulty with environment recognition and taking action,” the researchers wrote. They are planning to publish more detailed papers of the experimental device, said Yukie Nagai, an associate professor at Osaka University’s Emergent Robotics Lab. The work follows a prototype video game developed in 2013 called Auti-Sim that presented the player with a distorted playground and loud screams. The developers, however, did not claim to present a scientifically accurate portrayal of autism.